THIS EVENT IS NOW SOLD OUT. FESTIVAL TICKETS NOW PURCHASED WON’T INCLUDE BIG FISH LITTLE FISH – PLEASE EMAIL INFO@SHAKETHEHIGHROAD.CO.UK TO BE ADDED TO THE RESERVE LIST. Reknowned family rave party starters Big Fish Little Fish come join us in Leytonstone at SHAKE THE HIGH ROAD for an afternoon rave inside the wonderful Red Lion Ballroom for 2-4 Party People! 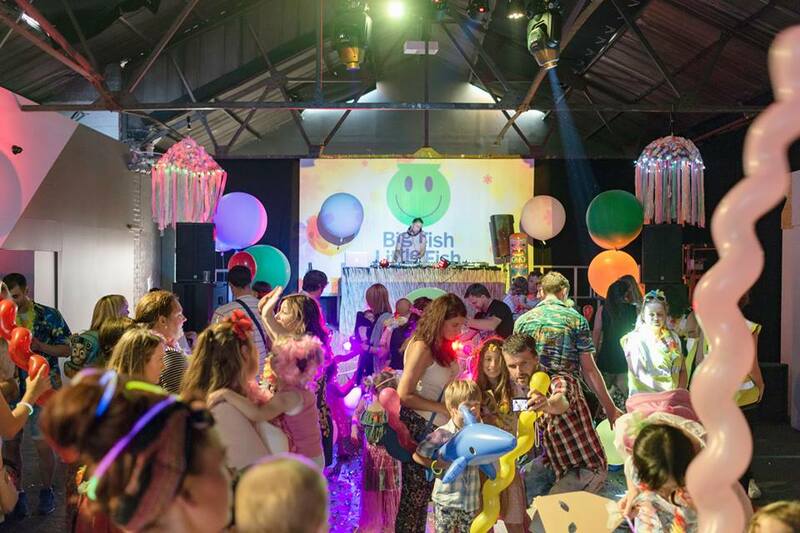 Bangin’ tunes, dancefloor effects, crafting, play areas and licensed bar!